Salinger Franny and Zooe is a book comprised of two sections: the short story Franny and the novella Zooey. This is a topic suggestion on Salinger Franny and Zooey from Paper Masters. Use this topic or order a custom research paper, written exactly how you need it to be. 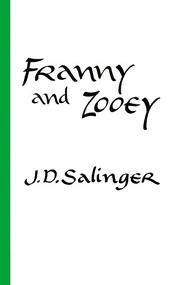 Franny and Zooey is a book written by J. D. Salinger that focuses on the Glass family, a common subject for the writer. The book is comprised of two sections: the short story Franny and the novella Zooey. Both pieces were originally published by The New Yorker in 1955 and 1957, respectively. The two first appeared together in book form in 1961. Salinger’s Franny, the first section of the book, focuses on young Franny Glass as she visits her boyfriend for a football game. Franny suffers from nervousness and constantly questions her place in the world, often questioning the very nature of existence. The story explores a distinctly Zen Buddhist approach to confronting modern life in the 1950s, though Franny mentions that she has made it a goal to internalize the Jesus Prayer so that she can pray ceaselessly. She has learned this concept from the Russian book The Pilgrim Continues His Way, which she carries with her throughout the story. Salinger’s Zooey novella focuses on two events: a conversation between Zooey Glass and his mother, Bessie, and a conversation between Zooey and his sister, Franny. Franny has been staying at the family home because of a nervous breakdown. Zooey gives her advice based on what their deceased brother, Seymour, had told him years ago (Seymour and his suicide are covered in the short story “A Perfect Day for Bananafish”). This leads Franny to experience a satori that seems to have great meaning for her. Paper Masters writes custom research papers on Salinger Franny and Zooey and discusses and explains the story of Franny and Zooey.